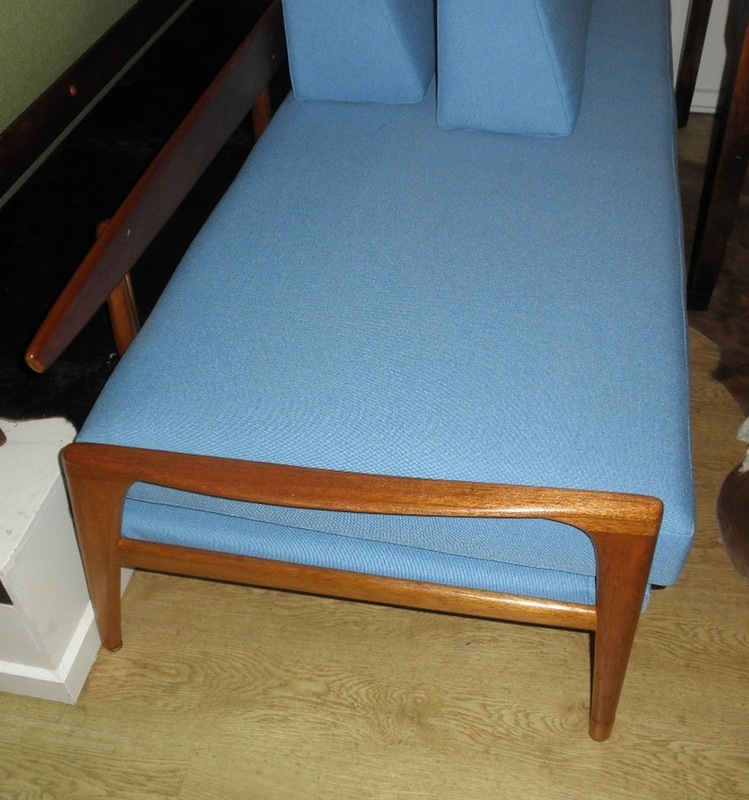 This FLER day bed has ben fully repolished and reupholstered. 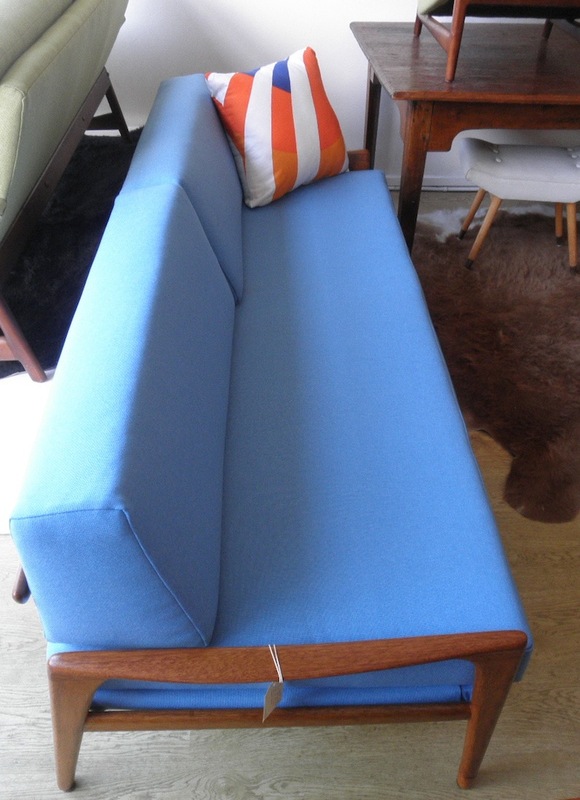 It has new Warrick fabric and makes great spare bed as these have lift off back cushions leaving a generous mattress. 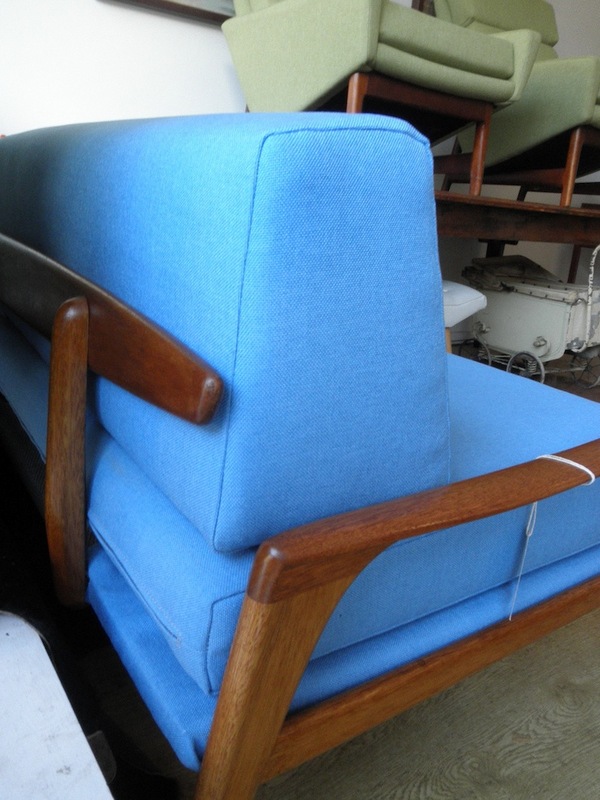 This model has the same matching foot sleeves as the SC55 chairs and would look great together with a pair of armchairs, it also has the preferred “surfboard” back detail. 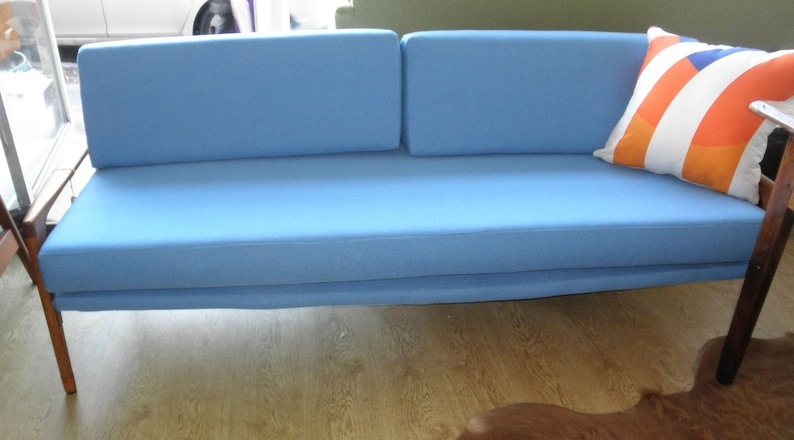 They also make a really comfy everyday couch with plenty of room to spread out.